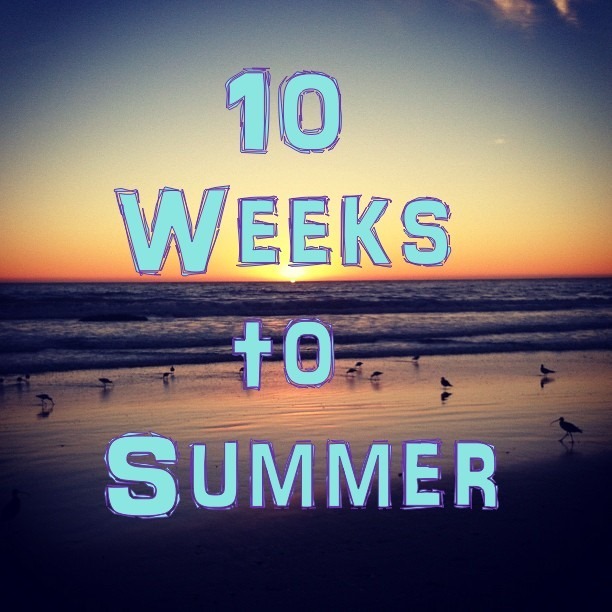 That’s right ladies summer is just 10 weeks away. It will be HOT, we will hopefully get to lay by the pool or the beach, and we will surely be outside often either working in the yard, going on hikes, or playing with the kids. Please don’t let this be a summer that you need to hide under a cover up or feel uncomfortable in your own skin. We are God’s girls made perfect and beautiful and this could be your summer to be healthy, strong, and fit just as God intended! We have 10 little challenges for the next 10 weeks, because we know you can do it!!! Start a Journal Start keeping track of each day- your lessons from God, your food, and your workout. Make sure to write your victories and failures and learn from them! Lose up to 20 pounds (crazy right, just 2 pounds per week) by tracking your food and keeping exercise a priority you can do it. Check out our food diaries and workout routine if you need any help or ideas. Achieve a fitness goal- complete 100 pushups or 5? Run 5 miles or 3? do 10 pull ups or 2? Whatever your goal is see it through, but be sure to set a new one! One Day at a time Focus on each day, not 10 weeks. Find a workout buddy start asking friends and family if they would like to workout with you and hopefully in the next 10 weeks you can find someone that will buddy up and hold you accountable. Find Balance – over the next 10 weeks aim for balance. Do not beat yourself up when you eat something you shouldn’t but pat yourself on the back when you overcome a temptation. Depriving yourself will never work it is about moderation and balance. Draw closer to God This should be your most important goal because nothing else matters! Every time I lose focus about why I do what I do I’m a mess. I will be taking on these challenges with all of you over the next 10 weeks and I’m going to run this race to win a crown that will last forever, not in my own strength but God’s, what about you? Posted in: Fitness, Inspiration, Life | Tagged: 10 weeks till summer, fitness, food, goals, lose 20 lbs.